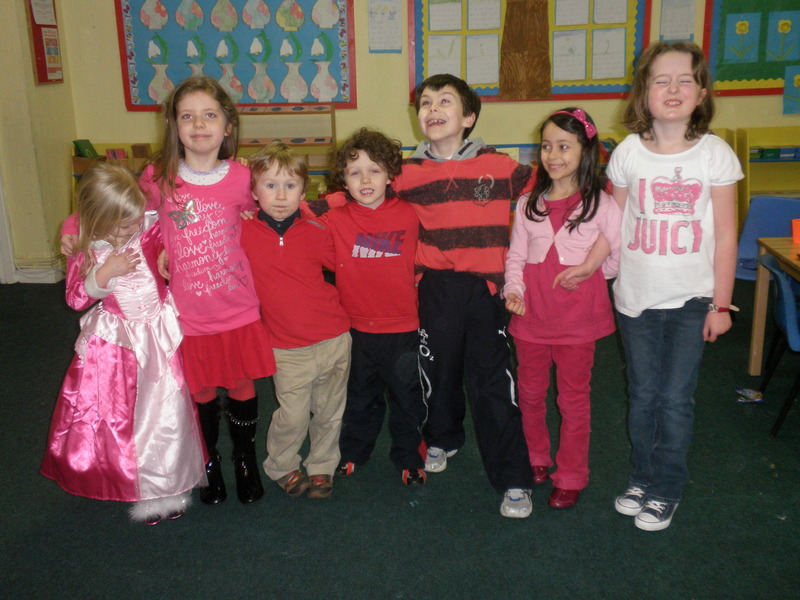 Before we broke up for midterm the students of Hedley Park took time to celebrate all the best aspects of St Valentine’s Day. 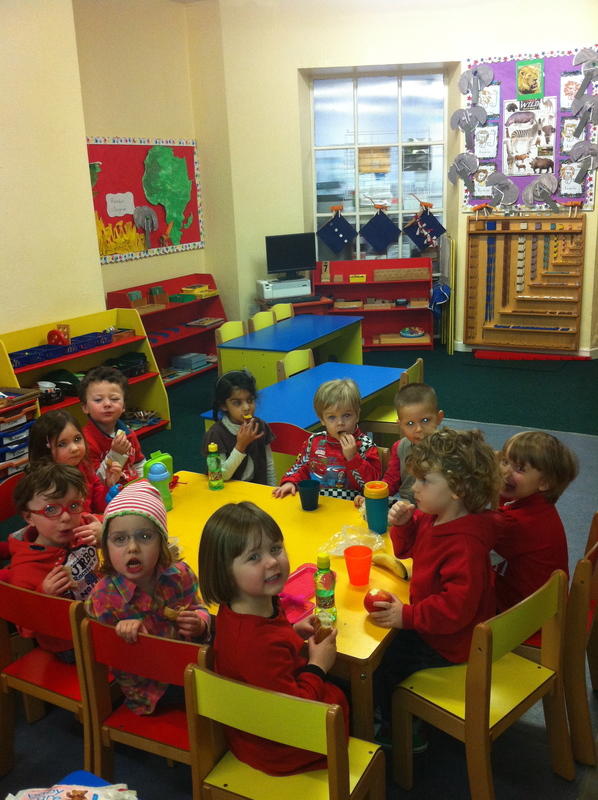 Every class got involved and it really was wonderful to witness the affection and caring shown by all to their classmates. 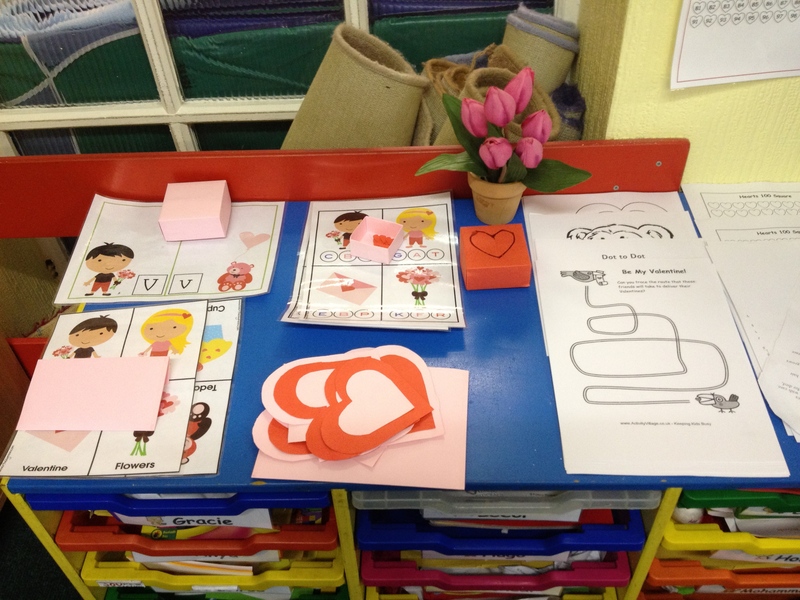 Starting with the nursery class, they began with the new Valentines work on their pre-writing table. 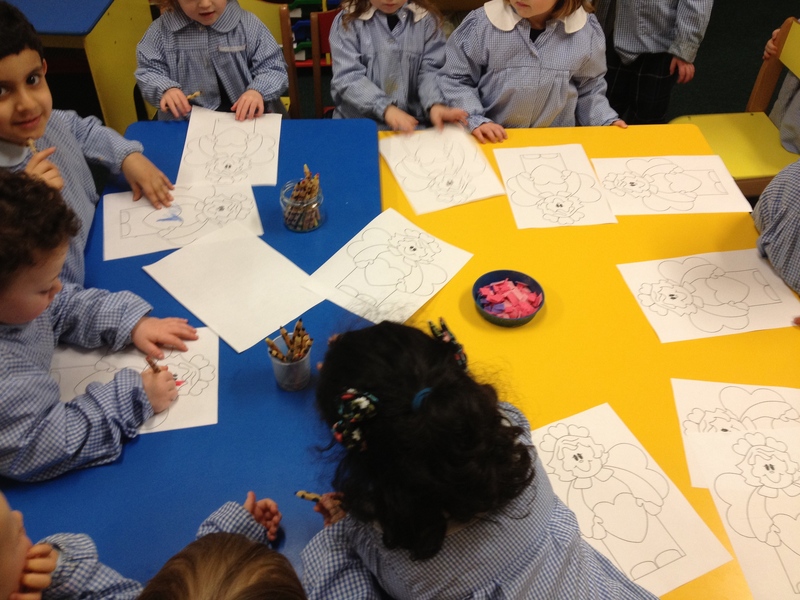 These tables are a great way to hone those newly developing pencil skills. Laminating the sheets means they can wipe and rewrite as much as they want. Even better our table is red! 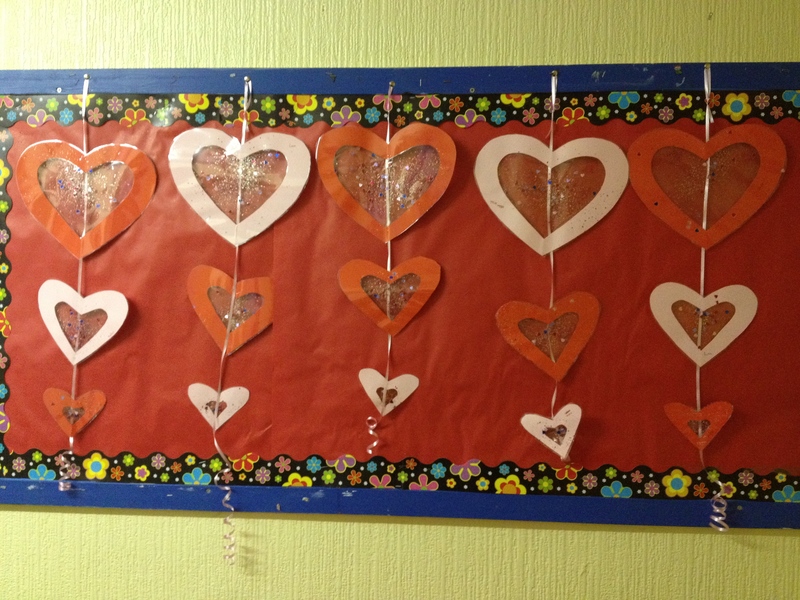 Size sequencing skills were used to create our sparkly valentines sun catcher chains. 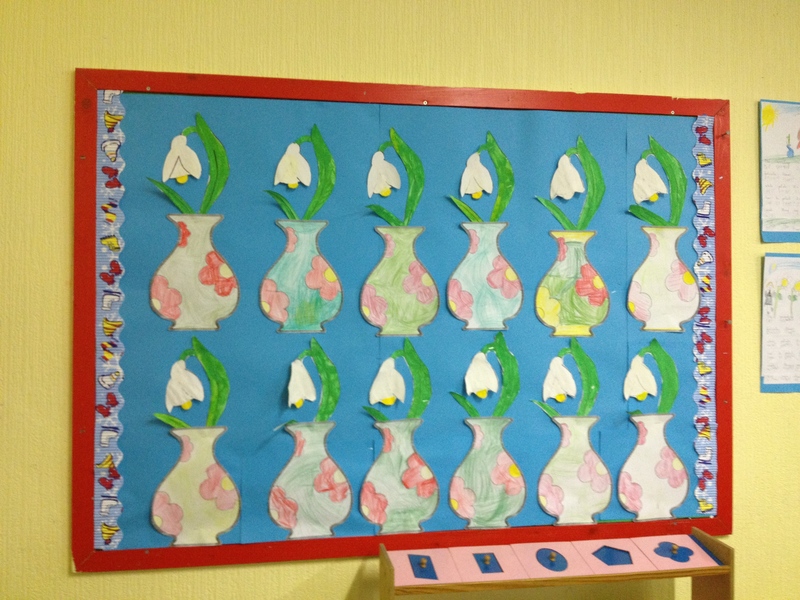 This visually striking display adorned our hall lending a very festive air. I’m certain they were much appreciated when our little cupids brought them home. 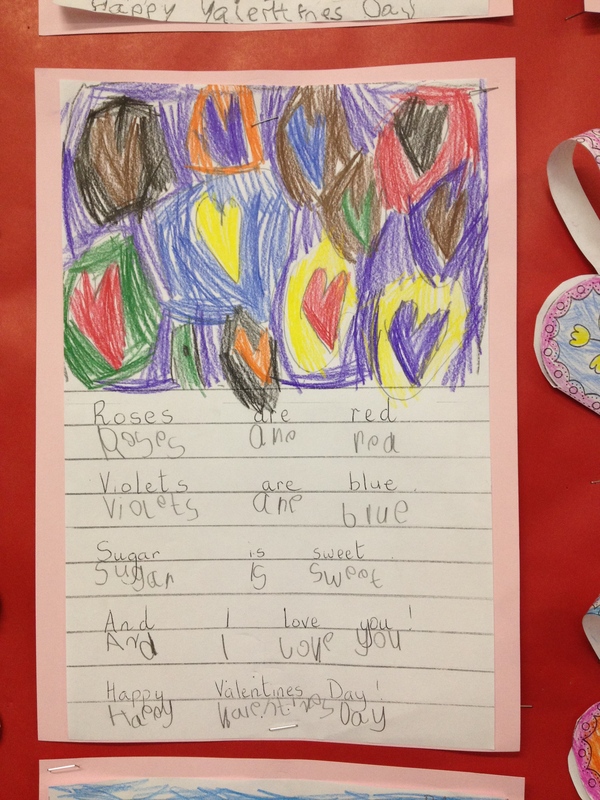 All week we worked hard on our Valentines Colouring books, using a variety of mediums, from watercolour, marker and collage to name a few. 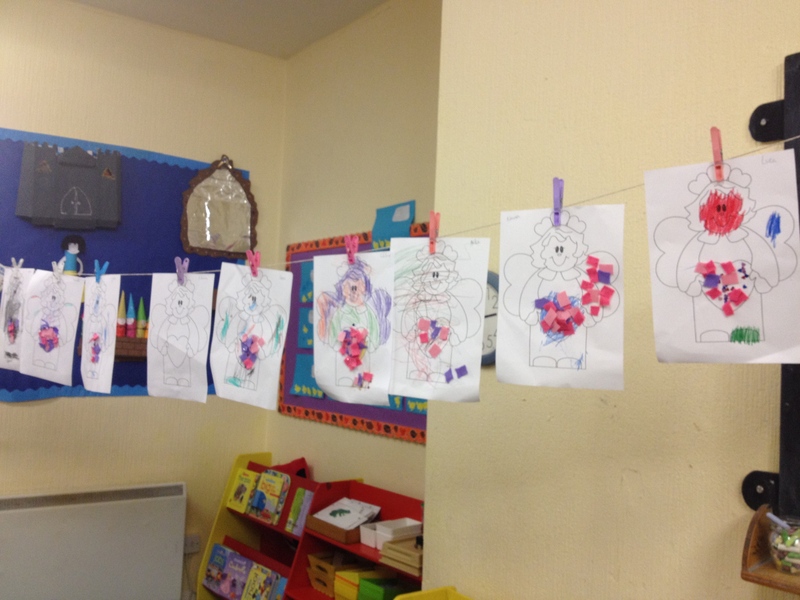 Working in a group was lots of fun as we shared and giggled and then hung our work up to dry. 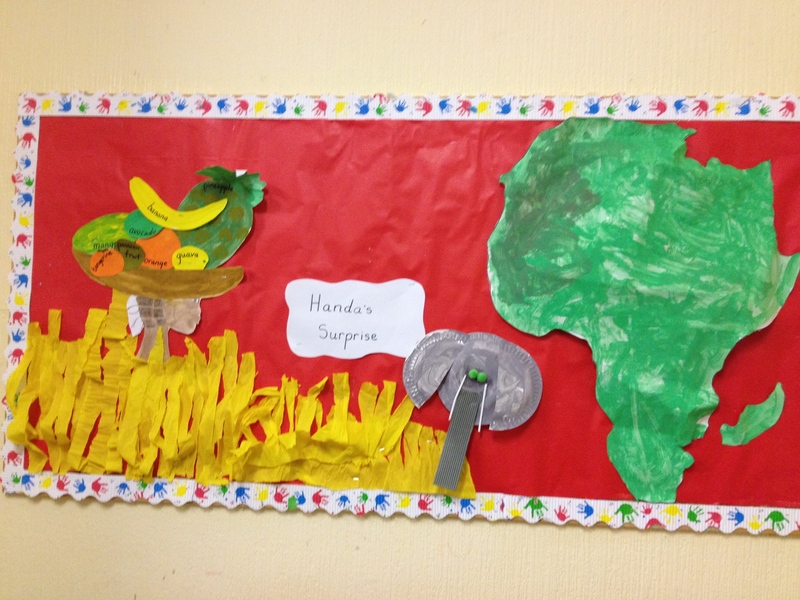 We also worked on our drama and storytelling skills with a Snow White storyboard and Handa’s surprise display to compliment our African continent study. 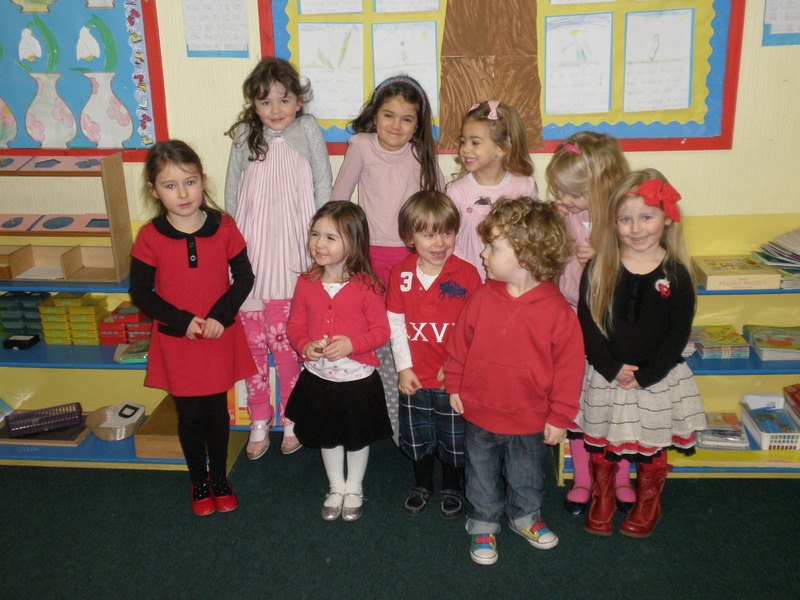 Junior and Senior Infants were also full of love for everyone. 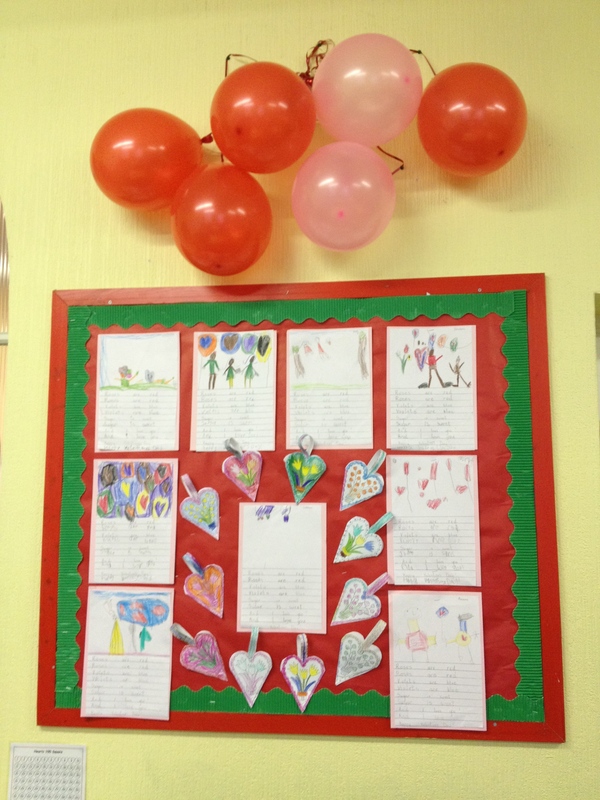 Beginning with their writing table and writing samples the walls were decorated with all things pink and heart shaped. 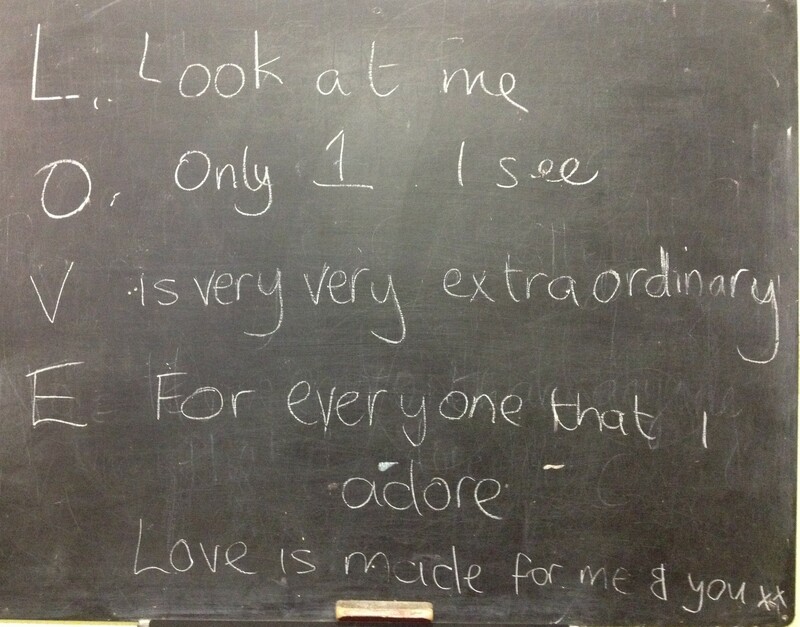 Learning the old school Nat King Cole song “L is for the way you look at me” with teacher Aoife was lots of fun, especially when we could hear it and watch a video on the school iPad. 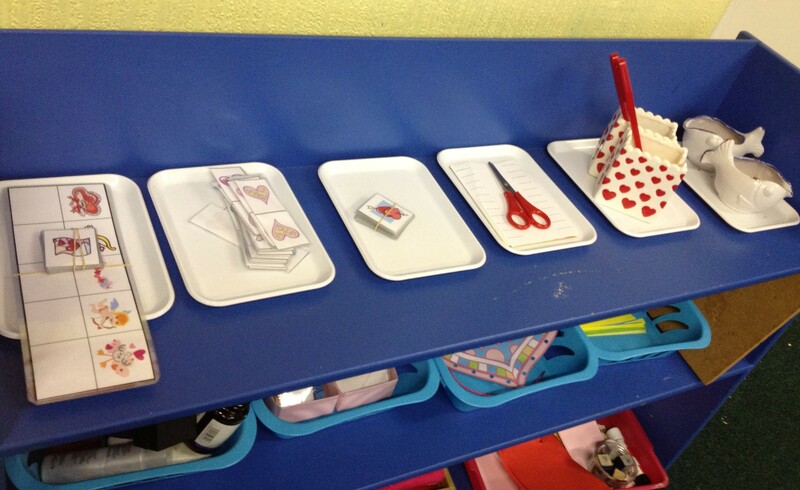 Our practical life shelves had a special Cupid theme thanks to teacher Katie. 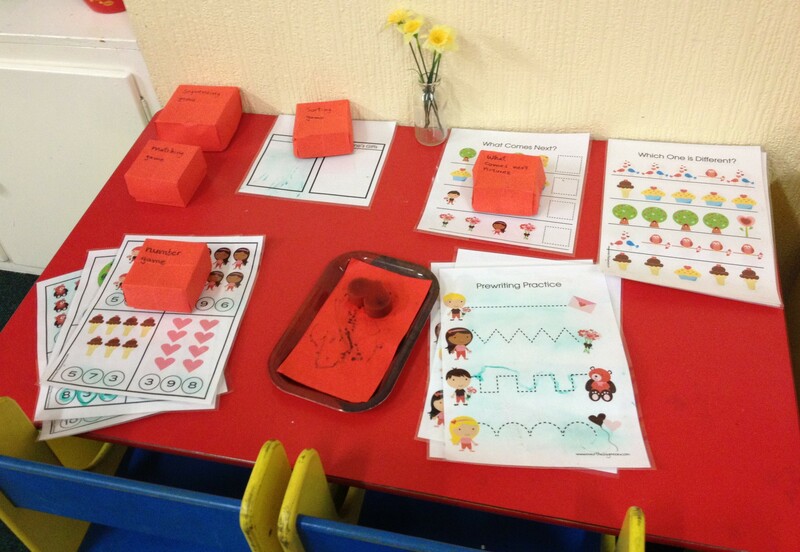 Sequencing, cutting, pouring and transferring even heartshaped sewing cards were on offer. 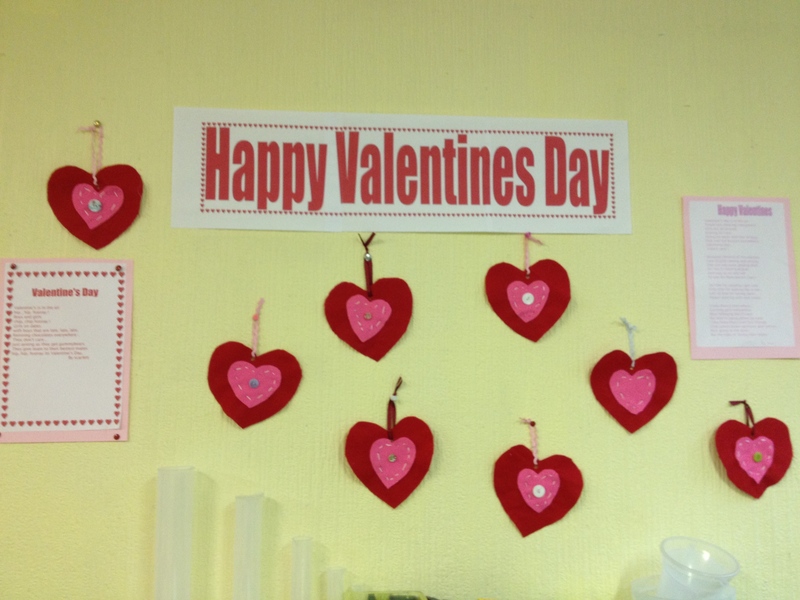 The scent of sugar and spice and all things nice was everywhere when we made our Valentines cupcakes too. 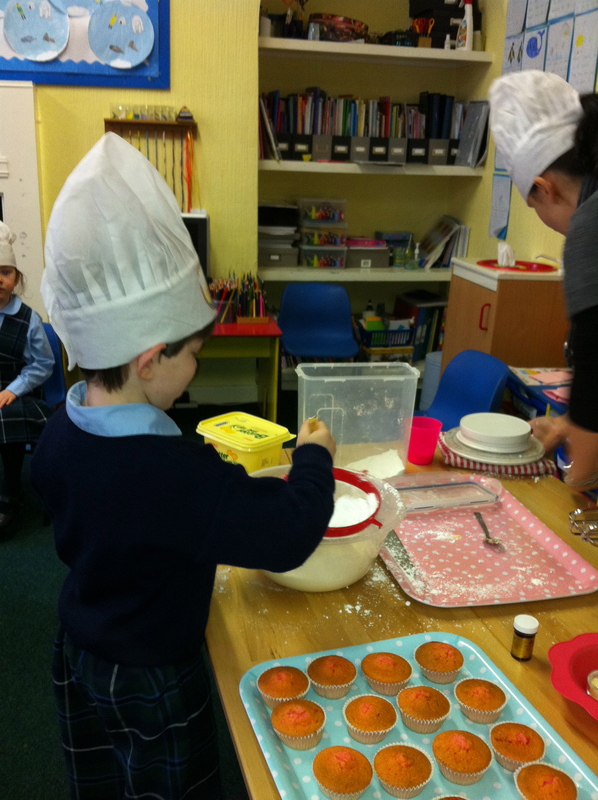 Baking hats at the ready we set to work, taking turns to measure, stir and pour. Sifting the flour, practical life in real life! 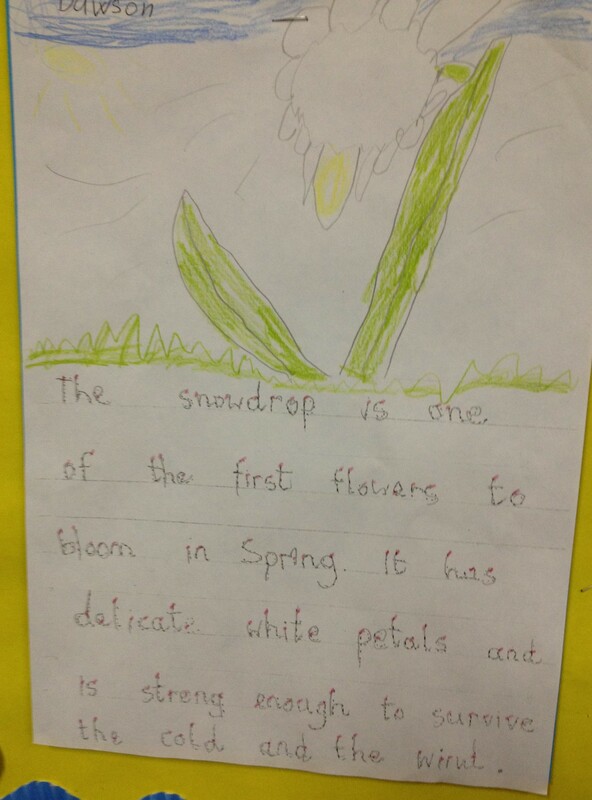 Of course it wasn’t just love in the air but Spring too, and our snowdrops and daffodil displays alongside our spring writing really put a spring in our steps. 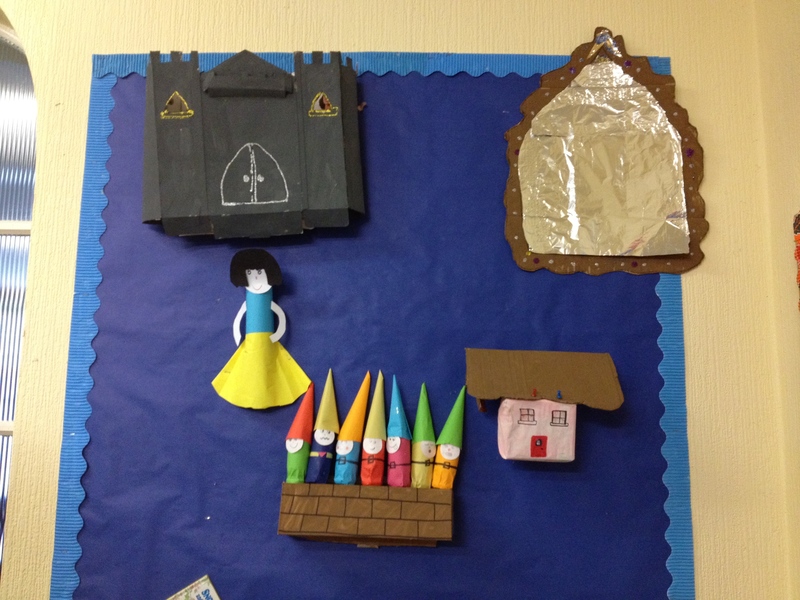 In the Senior class friendship, creative writing and beautiful sewing were the orders of the day. 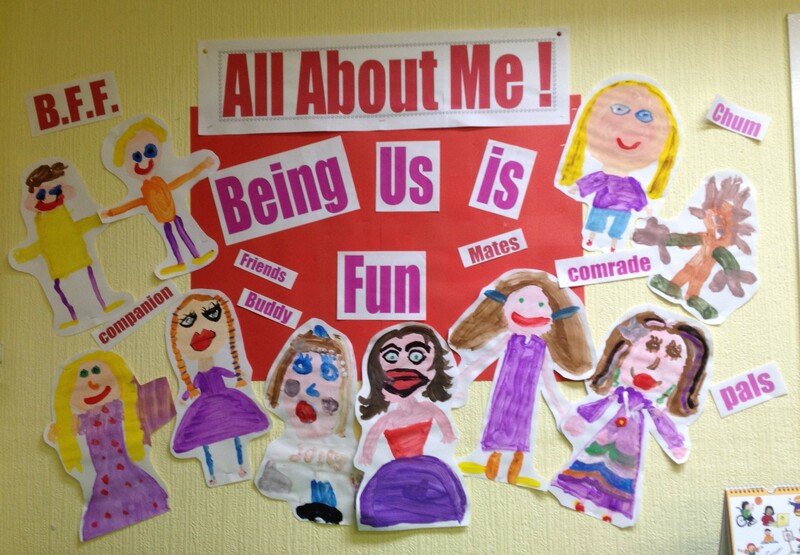 Our “All about me” project has helped us to see that we are all a unique and special part of the class team, and our buddy system is giving us a wonderful opportunity to show our classmates that we care everyday. 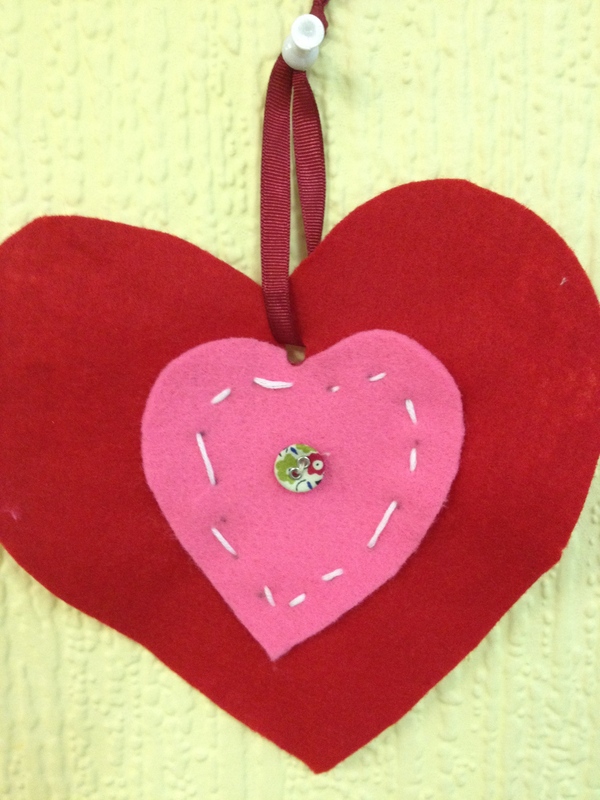 But it was our sewing skills that really impressed as we created felted hearts to display and take home. The last day before midterm we had a Pink & Red Party. Everyone wore pink or red or both. 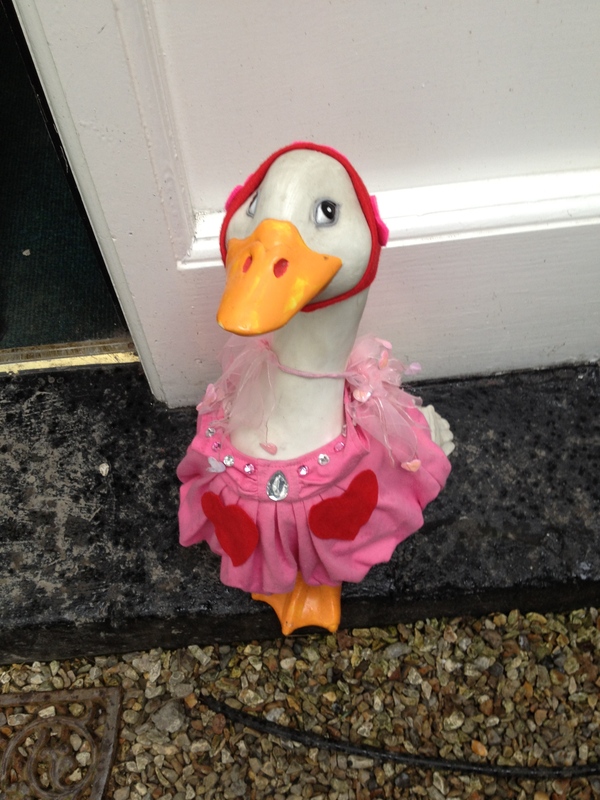 Even Daisy Duck got in on the act. 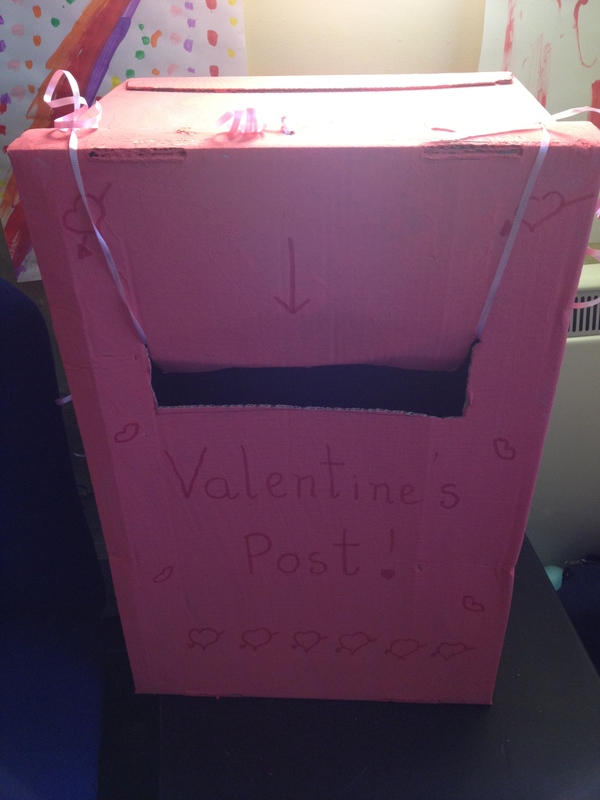 We checked our Valentines letter box for cards and notes, and we had a “party” snack enjoying our valentines cupcakes and one or two other goodies. What a lovely way to start the spring midterm. We hope you had a good time and are all rested for the spring term! Come back soon to learn all about the Senior class’s “Deep Space Odyssey”.